French Oak Trading Company sources: new French Oak; reclaimed French Oak; as well as unique vintage French Farmhouse design pieces; from across Europe, to bring their timeless and unique beauty to your project. Whether it’s new kiln dried French Oak sourced from the Oak forests of north east France or reclaimed, hand salvaged French Oak, either choice will provide you with an incredibly stable and sustainable building material that is suitable for any design project - traditional, contemporary, residential or commercial. Our point of difference is our ability to mill French Oak to your specification and purpose including: solid flooring, stair treads, battens, benchtops, or wall cladding. Select French Mountain Oak, sourced from the forests of northern France, is now available in Australia through the French Oak Trading Company. Available in either boards, planks or parquetry this quality timber is ideal for use in flooring, stair treads and joinery. French Oak Trading has immediate stock of authentic reclaimed antique French Oak (200 + years old), solid flooring, boards, beams, cladding and parquetry. We work with local artisans who are passionate about their craft, whether it is working with modern timbers or reusing rare materials to produce unique pieces fashioned for each individual client. Doors that express individuality can enhance any design. French Oak Trading can assist you source the right door through access to rare antique doors or custom making doors to your specific design brief. Our team have sourced original Vintage French Farmhouse design elements, from across the globe, to inspire, compliment and enhance your design projects. The enduring warmth and beauty of these hand made reclaimed tomettes, tiles and bricks, with their subtle hues, are as equally appealing today as they were when originally laid. French Mountain Oak is now available in wide boards, planks and parquetry and ideally suited for use as flooring, stair treads, bench tops, joinery and furniture making. 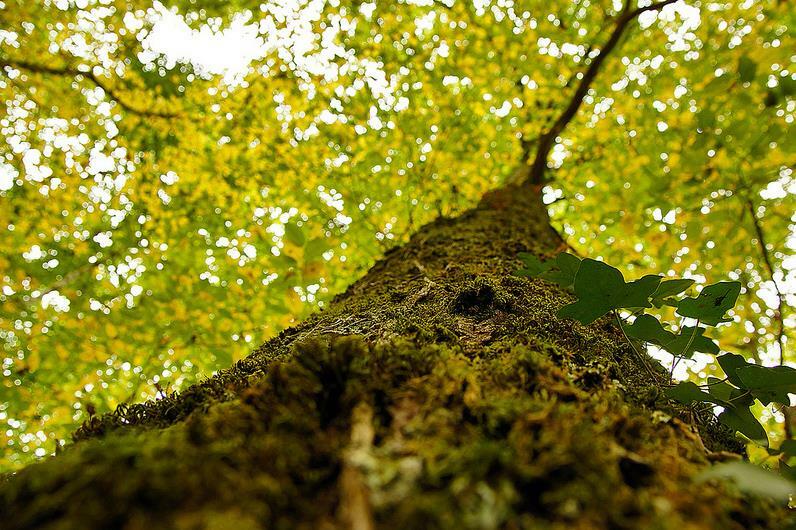 French Oak Trading holds an extensive range of Mountain French Oak which has been sourced from the sustainably managed forests of northern France and graded using strict guidelines from the Fédération Nationale du Bois (French National Wood Federation) ie. QF3/4 which is equivalent to Feature/Rustic grades in Australian standards. Its diversity of use, tight grain patterns and unique French Oak patina will provide individuality and quality to any design project. Ideal for flooring, joinery and furniture making, these boards are available in standard profiles or can be custom milled to your project specifications. French Oak Planks are perfect for stair treads, bench tops, table tops, joinery and other timber projects. Parquetry blocks and panels offer boundless opportunities to create an individual look in flooring, joinery and furniture making, in either a contemporary or traditional setting. Reclaimed Antique French Oak solid flooring, boards, beams, cladding and parquetry. 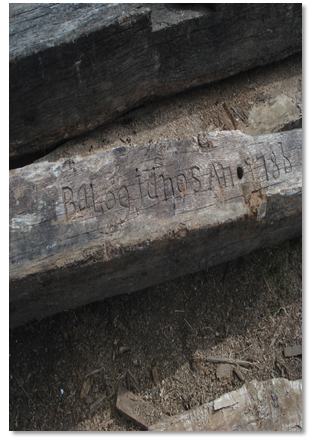 This unique, quality timber has been selected, by French Oak Trading Company, for its inherent character, its glorious patina and its flexibility of design usage. That is, it can be used in it raw/rustic form or milled, dressed and finished to highlight any design theme and requirement, including flooring, stair treads, batons, timber cladding, bench-tops or made to order tables and doors. 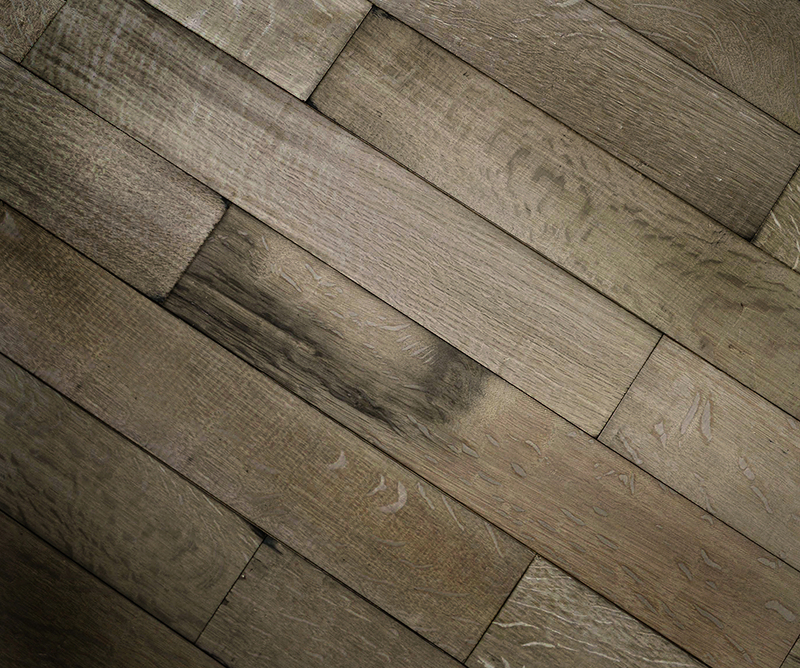 Salvaged French Oak solid flooring & boards, with the unique characteristics that only French Oak can provide, are available now in varying widths, lengths and thicknesses to suit your design requirements. 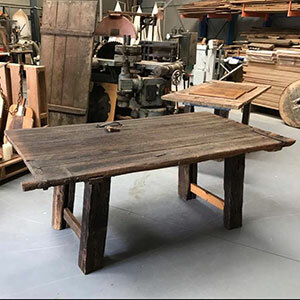 Hand selected rough sawn reclaimed French Oak beams that are rich in the history and character of their era are available immediately from our Melbourne warehouse. Rustic reclaimed French Oak cladding that has stood the test of time, is available for a variety of design treatments, the extent of which are only bounded by the limits of imagination. Our extraordinary range of original French Oak Parquetry and re-milled French Oak blocks and panels, bring the beauty of this traditional French art form to an Australian contemporary setting. Foot worn or smooth, the choice of finish is yours. Hand crafted French Oak tables made to your individual design and needs. French Oak Trading Company has teamed with local craftsmen who are passionate about the use of this exclusive, rare and beautiful timber, to produce tables that respond to and reflect a contemporary setting. With an appreciation of the provenance of the timber and your individual needs, we can work with you to craft a table that will be uniquely your own and a piece that will be enjoyed by many for years to come. Up cycled pieces where a marriage of reclaimed antique French Oak or new French Oak, with unique items salvaged locally or globally, is achieved to produce a truly individual piece that will be at home in any setting. Antique Doors hand selected for their uniqueness and French Oak Doors Custom made to your requirements. The French Oak Trading Company team in Europe constantly searches for unique solid Antique doors, in varying shapes and sizes that will enhance a design or building project. As our stock frequently changes please contact us directly to view our current stock. Alternatively, we can custom make doors from our French Oak, either new or reclaimed, to meet your specific needs and project. 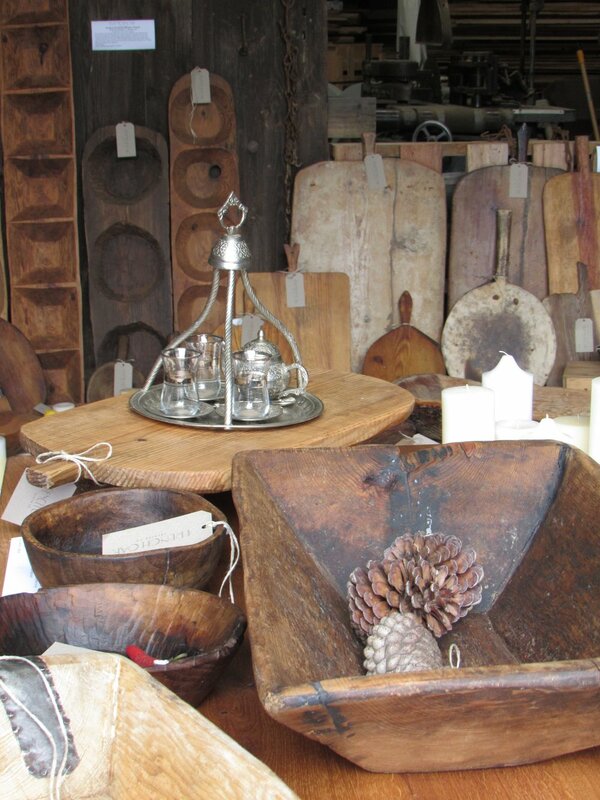 The French Oak Trading Company has sourced unique design elements, salvaged from across Europe. Our range of vintage French Farmhouse pieces have been handpicked by our team of professionals who source a unique, eclectic design elements from across Europe that can add highlights, enhance and complement design themes. Nothing symbolises French country flooring more than terracotta. The extraordinary warm colours, the beautiful subtle pastel hues and variations, the hand crafted shapes, all define the essence and rustic charm of French country living. These tiles are extremely hard wearing and suitable for both interior and exterior use.